Voodoo Dolls are all about getting magic and spells. And of course inflicting pain on an unsuspecting victim by sticking pins in an effigy of them. And you don't even have to get close to them, win! So make sure you show your true feelings towards that not-so-special someone with a voodoo doll top. 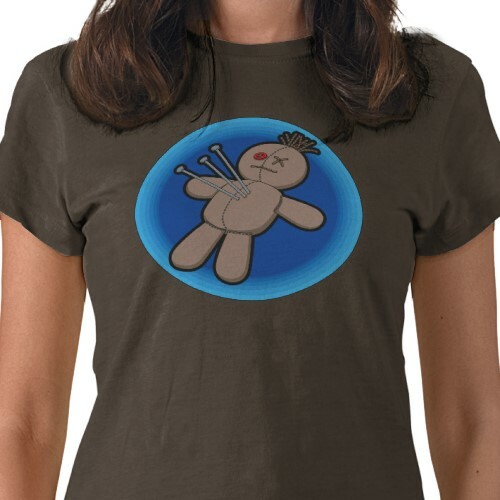 Get yourself a Voodoo Doll T-shirt.